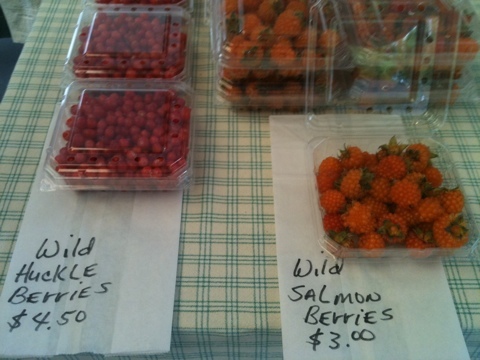 Bill at Nature’s Wild Harvest found salmonberries and huckleberries this weekend. These fruit have a short season so get them while you can. 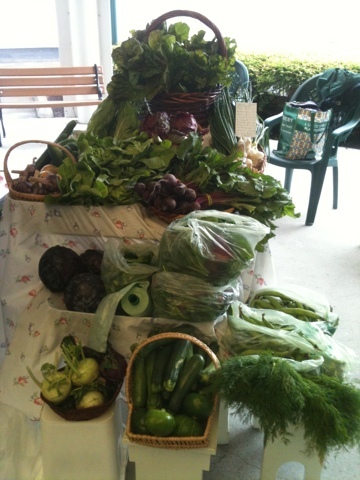 You’ll also find salmon, raspberries, blueberries (finally) and plenty of good produce. See you at the market!